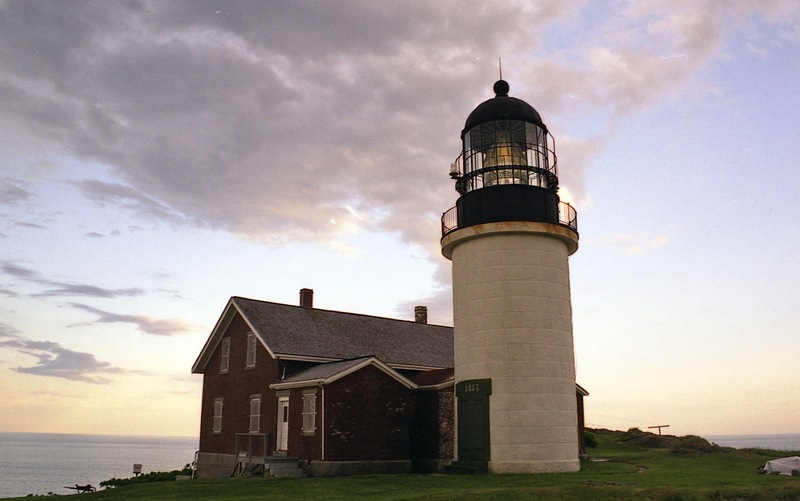 The Seguin island lighthouse was commissioned by George Washington in the year of 1795. The lighthouse has always either been ran by general workers or at one time the coast guard for over 70 years. Its the tallest lighthouse in Maine and is open today for tours were you can see an incredibly rare lens which can never be replaced. The lighthouse is certainly a type of building that isn't short of a ghost story, and many would say with good reason. Often standing on isolated rocks sometimes miles of shore, people can be left alone on them for months at a time, especially in the earlier days when they didn't have the necessary boats to reach them during the stormy winters months. Its not surprising that people have been driven to madness by the repetition and isolation that comes with such a job, and often this madness has had fatal consequences. Standing on the mouth of the Kennebec River, the Seguin island lighthouse experiences some very thick fog during certain times of the year which don't help the eerie feeling around the place. Theres not much creepier than piano music creeping through a ghostly fog, but that exactly one of the things said to be found at the lighthouse. The tale is said to be of an early worker at the lighthouse who moved in with his wife. After some time his wife tired of not having anything to do on the island so he had a piano shipped in for her, complete with a piece of sheet music. She seemed to enjoy this piece greatly as over the winter months when additional supplies couldn't be brought in, including more music, she played it constantly. The constant same piece of music and complete isolation drove her husband to take an axe to the piano in a fit of rage. Inn the fight that followed the lighthouse keep almost decapitated his wife and shamed with himself he took his own life by leaping over the 185 foot high cliffs. There are thought to have been a number of suicides at the lighthouse since it overlooks some very high cliffs and would be a typical spot to commit such an act. The exact identities of these people are unknown, though one is thought to be the daughter of one of the keepers, but perhaps one of them is responsible for the story's behind silhouettes in the fog, or the ghostly whispers that come out of it.